Impala Saracens coach Oscar Osir and Director of rugby Fred Ollows believe their is a big statement to be made by their side against Kenya Harlequins at Christie 7s this Saturday. Quins and Impala are traditional Ngong road arch-rivals and this meeting on Saturday at Quins' base will not only be about who finishes where in the circuit but who will have the bragging rights, at least before Floodies. Quins and Impala are joined in pool C by nationwide side Northern Suburbs Cubs and invitational side Emerging Uganda. Osir and Ollows spoke to impalasaracens.com on Wednesday with Osir describing it as "an interesting pool to finish the 2018 National Sevens Circuit." "We have beaten Northern Suburbs before and understand their style of play. The team has not watched Emerging Uganda Sevens playing. We are therefore not certain what they will bring to the contest, but quick adjusting to match scenarios will be key in securing the win from this particular match." Both Quins and Impala have not a good season with two sides suffering relegation at some point this season. 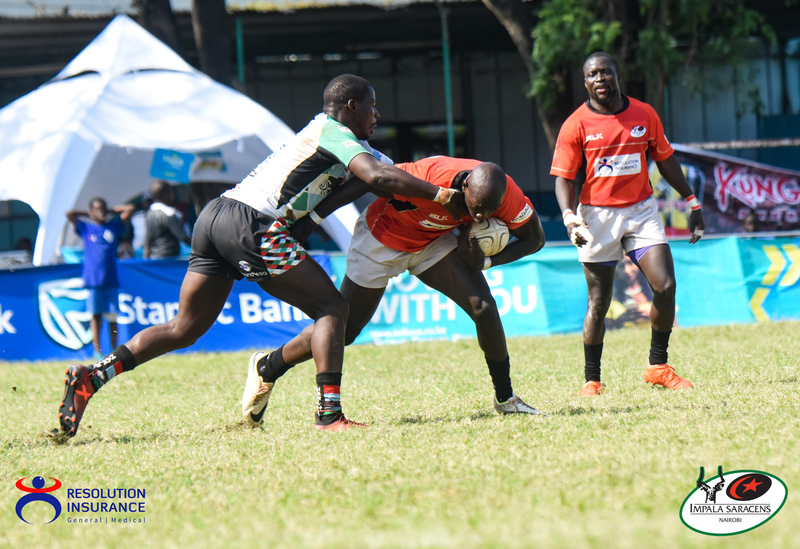 When they recently met at Dala 7s, it was Impala who came out on top, 17-12. "It was exciting to watch the boys come from behind to beat Quins 17-12 at Dala 7s. We still have a big statement to make against them, especially now that they are tournament hosts," added Osir. Ollows, the director of rugby, will be waiting to see what the Ugandan side bring on board. "It is an exciting pool. This sort of pooling brings out the teams that really want to play. Emerging Uganda will be keen to assure their country that they can take on top tier competition." "Quins, whose 7s side seems to be a combination of Kenya & Uganda will definitely want to come hard at us. Northern Suburbs could be labelled as the dark horse of the pool, but we shouldn’t forget that they have nothing to lose. Impala will need to go into this pool ready – mentally." The match between Quins and Impala will be at 4.50pm.